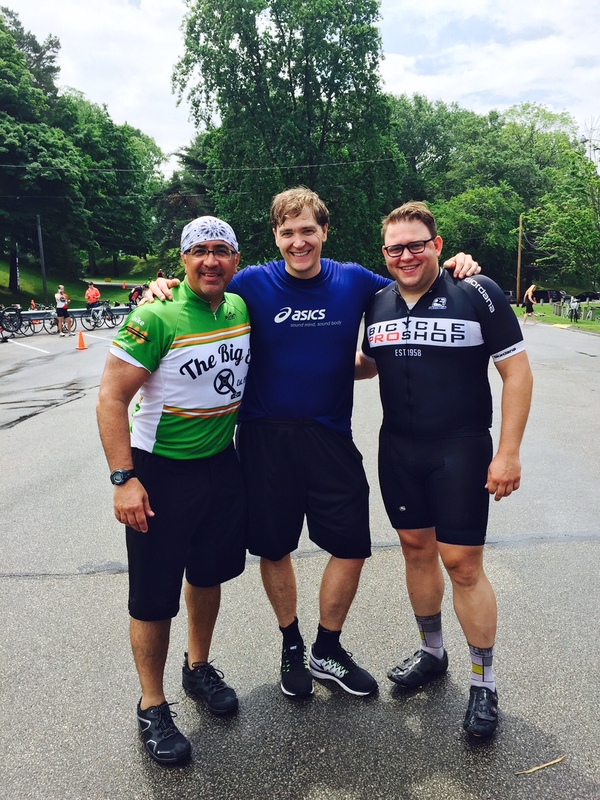 Gregg Broujos, Managing Director, David Thor, Principal and Justin Kline, Associate of Colliers International l Pittsburgh, participated in the 2015 Bike MS: Escape to the Lake, an annual fundraising event organized by the National Multiple Sclerosis Society, Pennsylvania Keystone Chapter. Along with over 1,000 other bike riders, Mr. Broujos, Mr. Thor and Mr. Kline pedaled 150 miles from Western Pennsylvania to Ohio over two days to help raise almost half a million dollars for the battle against multiple sclerosis. This was the third year Colliers International l Pittsburgh participated in the ride, raising over $17,000 the previous year. For Gregg Broujos, this was his 13th time participating in the ride, supporting his wife and mother-in-law who have been affected by MS.
“The outstanding level of support that we received from the donors, the volunteers, and the communities through which we rode was truly inspiring,” remarked Mr. Thor on the ambiance of the race. Colliers International | Pittsburgh participated in the ride as part of “The Big EL” team. The Big EL raised the second highest amount of donations totaling $34,481.